EdBlocks is a drag-and-drop, fully graphical horizontal programming language for the Edison robot. 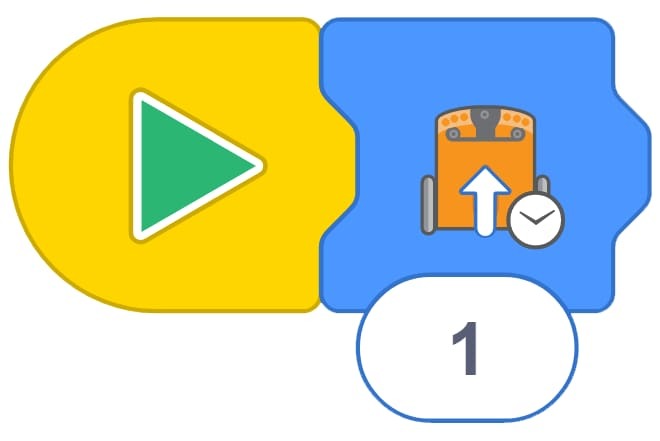 EdBlocks is a perfect introduction to programming and a fun way to start your coding journey. 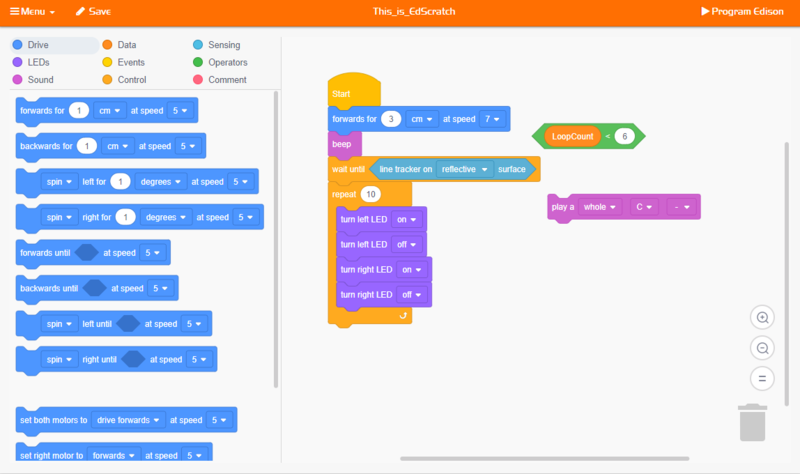 EdScratch is a vertical block-based programming language for the Edison robot based on Scratch. EdScratch combines the ease of drag-and-drop programming with powerful functionality and flexibility. EdPy is a python-like text-based programming language for the Edison robot. EdPy lets you unlock even more of Edison’s abilities while learning text-based programming. How easy is it to program Edison? Choose one of the Edison robot programming languages to use and open its application in your browser. Select a ready-to-go demo program in the app or write your own program. Connect your Edison to your programming device using the EdComm cable. Press the round (record) button on your robot one time. Click the ‘program Edison’ button in the app to download your program to your Edison robot. Once your program has finished downloading, unplug the EdComm cable and press the triangle (play) button on Edison to run your program in the robot. You can always make changes to your program in the programming app, or write an entirely new program to run in Edison. 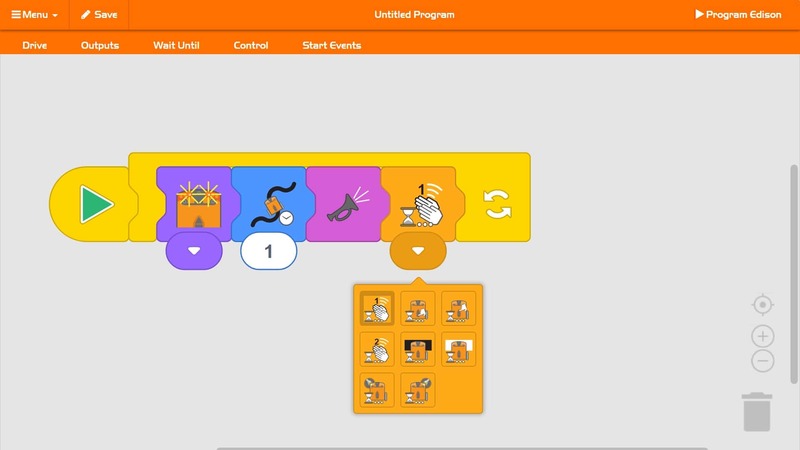 Then simply reconnect your Edison, download the new or adjusted program and run it in your robot to see your code come to life! 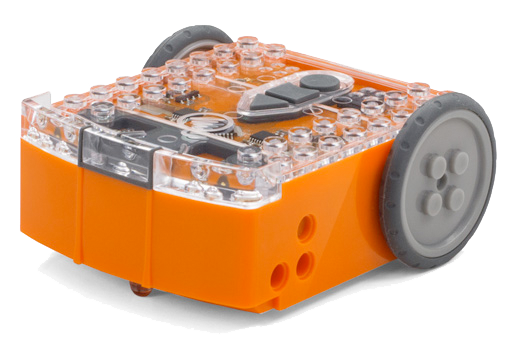 Edison robots are ready to be programmed with any of the Edison programming languages, making it easy to try new challenges and activities matched to your students’ abilities. EdBlocks is a fully icon-based robot programming language that is super easy to use. A drag-and-drop block-based system, EdBlocks is intuitive and fun, even for younger users. Perfect for introducing anyone to programming, EdBlocks is ideal for students aged 7+ years old. 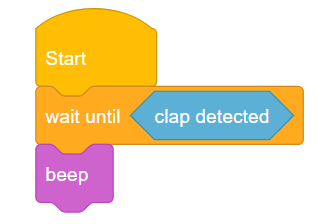 EdScratch is a vertical block-based visual programming language based on Scratch. EdScratch combines the ease of drag-and-drop programming with powerful functionality and versatility. The result is a robot programming language that is easy to learn and offers a robust platform for computer science education for students 10+ years old. EdPy is a highly versatile text-based programming language based on Python. 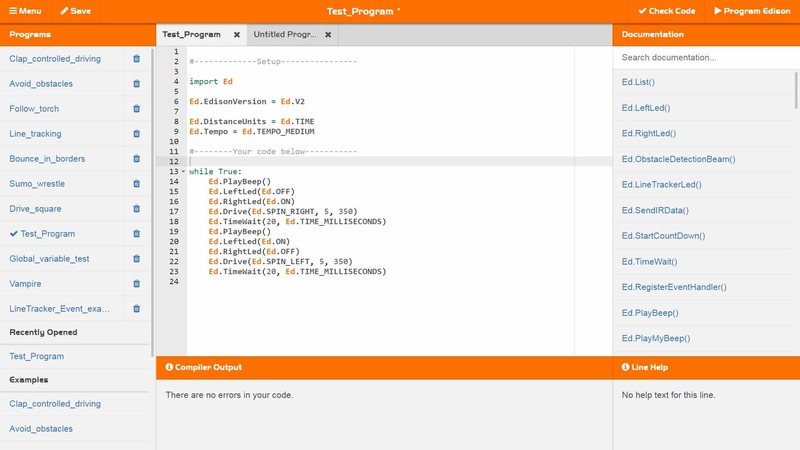 EdPy makes text-based programming fun by letting students see their code come to life in their Edison robot. With EdPy, students are learning the core of a real programming language and are able to take their exploration of robotics and coding to a more advanced level — perfect for students 13+ years old.